Still in the throws of a balmy summer and chomping at the bit to “Bring the Buns” in the kitchen, I have developed the perfect summer menu dear readers! A menu that will impress both fabulous guests and your loving family, and one that you will inscribe in your recipe book. Inspired by Ina of course, I created this menu for a dinner party recently, and to my delight, it was a smashing success! So much so, that our dear friends ended up concocting the same finger-licking-good barbecue chicken recipe for their parents. One caveat: our dear friends so generously brought the most heavenly angel food cake with cloud-like frosting and sweet mixed berries – a life changing dessert – however the recipe is locked away with the family. No to worry! To bring you as close to sugar nirvana as possible, I provided a similar oh-so delicious dessert below. And so, I give you a mouthwatering summer menu that’s sure to please. Cheers to a wonderful week! Last weekend, my darling boyfriend invited me to meet his parents, and of course I was touched. We had decided to meet them at the restaurant, and then 15 minutes before we were supposed to meet, my boyfriend tells me we’re stopping by their house first. Sheer panic set in, as I didn’t have any sort of token for them. I had no choice but to just bring myself (and we were only there for less than 20 minutes, a quick stop-by really) but was I remiss to not have brought flowers, etc.? How sensational you met your beau’s parents – I’m sure you charmed them beyond words and they just adored you! Here’s the 411 on meeting his family: typically, I would advise that you bring a little treasure for them (best to never show up empty handed! ), be it a blossoming bouquet of white peonies, bottle of your most cherished wine, or homemade treat to show your culinary skills. However, given that the plans changed last minute, you had short notice, and zero time to coordinate a gift for them, coming just as your fabulous self was the right choice. Something to consider – you can always drop a hand-written note in the mail thanking them for hosting you, and letting them know how much you enjoying getting together. Since I predict you’ll be visiting their home again soon (just call me Miss Cleo! ), I advise that you take that as a sparkling opportunity to bring a special remembrance – a la my aforementioned suggestions – and show how thoughtful and loving you truly are! Thank goodness it’s Friday! To start the weekend off with a Must Bring Buns bang, I’m thrilled to introduce to you dear readers, a new Friday occurrence, aptly named Bun Love – a collection of things I’m loving! 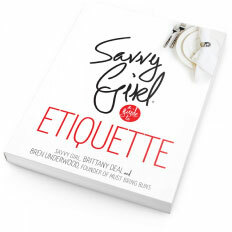 From hostess gifts, to books, to table settings and more, Bun Love is sure to delight and inspire. And so, I give you the inaugural Bun Love, and all of the blue goodies I’m currently lusting after. Cheers to a sensational weekend! 1. Gianna Rose Turtle Soap Set – Perfect hostess gift! 2. Juliska Country Estate Chargers – these are on my wish list, oh how I adore Juliska. 3. C Wonder Lacquer Boxes – modern and chic boxes, ideal to display on a bookcase. 4. House Beautiful Blue – good things come in small packages, including this little book. 5. Sur La Table Chinoiserie Napkins – dinner party approved. 6. Sugar Paper Note Pad – Your daily to-do list just got a little bit cuter. 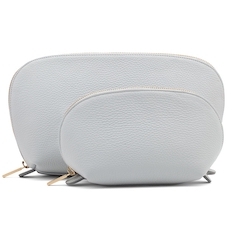 A beautiful and functional makeup bag set, fabulous for everyday use and all of those fun trips you’ll take this summer. 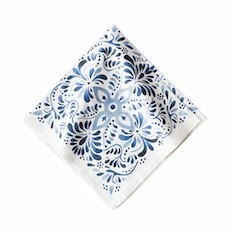 Because blue and white napkins are always in style! Paired with a woven charger and white plates, these napkins will be the perfect pop of color to your table. 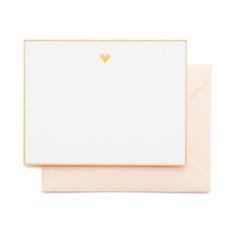 Elevate your stationery collection with this beautiful gold heart note set.